Today i have tried and tasted this Mango Kalakand in Microwave from Priya of Priya’s Easy N Tasty Recipes.It came out really delicious and every one in my home enjoyed it very much.Here goes the recipe..
Take a microwave safe bowl,add all the above ingredients expect chopped pistachios.Fold them nicely in a such way that it looks like a cream.Pop the bowl in microwave at full power for 20minutes,Stirring at every 5minutes,because it doubles in its volume. At nearly 17 minutes,add the chopped pistachios and you will also seen the edges of the bowl and the mixture would have turned light golden colour. Once the time in done,now transfer the mixture onto a flat plate and allow it to cool.Once it cool downs cut into pieces and enjoy.. Very tempting and fabulous kalakand. Thanks for trying this kalakand Pavani, urs looks damn delicious and inviting.. This one came out perfect and looks absolutely gorgeous! 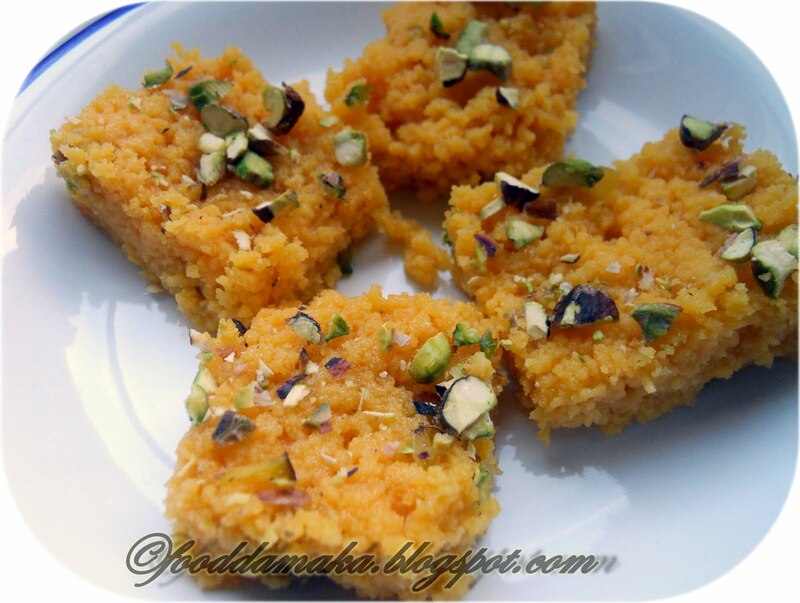 Mango kalakand looks awesome. Mango is my favorite fruit. 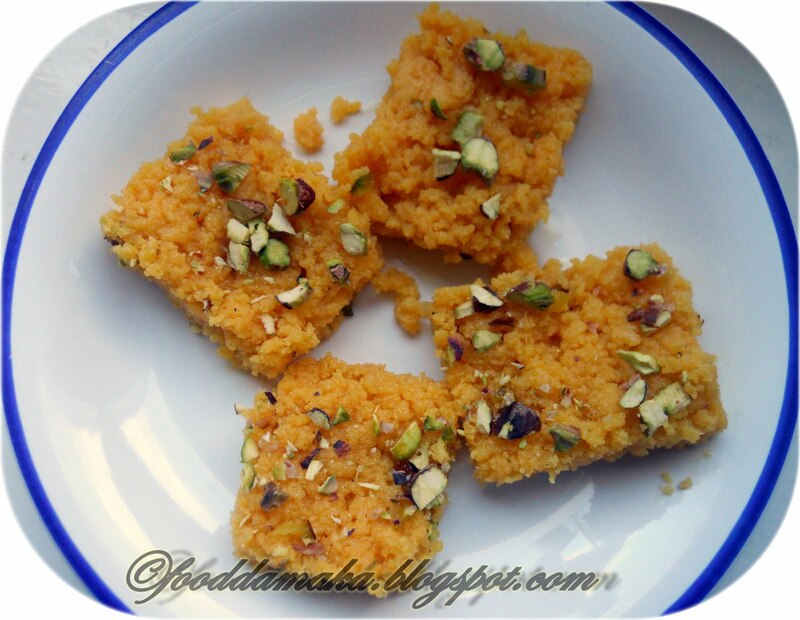 Easy to make,mango kalakand looks delicious. It has come out very well pavani. Love the mango flavor. Inviting you to follow my blog.